I'm having a problem opening an ebook I downloaded. - Ask Us! Q. I'm having a problem opening an ebook I downloaded. Can you help? I'm at a Library computer. If you're having a problem downloading an ebook after searching JEWL, it may be a problem with the vendor. If it's not already checked out try the alternative of reading the book online. 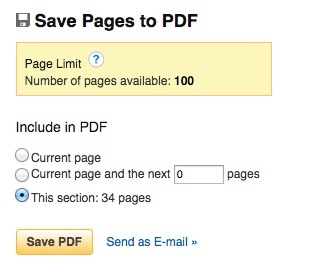 Click the PDF full text link and select Save pages (you can save up to 100). A PDF file is created so that you can then open and read it. (and print) Remember copyright! In fact, this is often a better way to read/ print chapters from ebooks. Downloading is not necessary and is often more complicated.